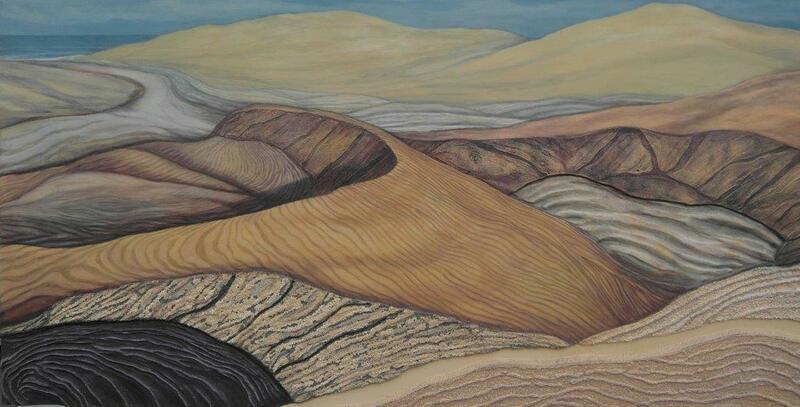 ﻿This was the first Sandscape to be created, and was exhibited at the Nelson Art Expo in 2014. This painting combined carving and texture, and was exhibited at the Nelson Art Expo in 2014. Carving and texture were integral to this work, which was shown at Icon Art Park. ﻿This more subtle sandscape was also shown at Icon Art Park. This painting entailed carving and texture. It was exhibited at the Nelson Art Expo in 2014, and won the Crowe Harworth Business Art Award.